On Tuesday afternoon, inside of the Conga Room at L.A. Live in Los Angeles, two division world champion Danny “Swift” Garcia (33-1, 19 KO’s) came face to face with former world champion Brandon “Bam Bam” Rios (34-3-1, 25 KO’s) for the first time ahead of their scheduled Feb. 17 showdown. 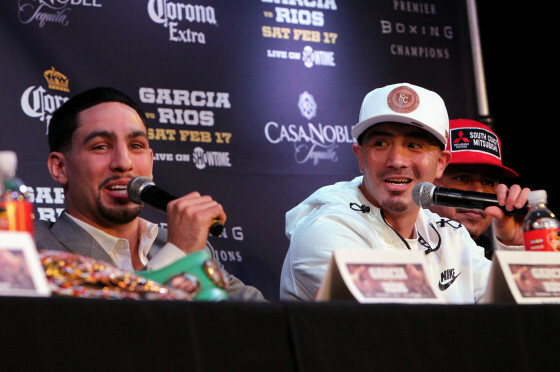 Garcia and Rios will square off on SHOWTIME in a Premier Boxing Champions telecast that will take place from the Mandalay Bay Events Center in Las Vegas, Nev.
Also present for the press conference were WBC super middleweight champion David Benavidez (19-0, 17 KO’s) and top contender Ronald Gavril (18-2, 14 KO’s), who will square off in a co-feature rematch of their thrilling world title bout this past September in Las Vegas. Benavidez defeated Gavril by split-decision and it’s a rematch many are clamoring for. Inside of trainer Robert Garcia’s new boxing facility in Riverside, Calif., you will find former lightweight champion Brandon “Bam Bam” Rios on the scene. 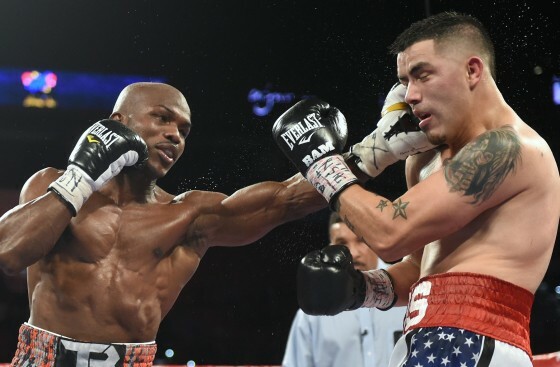 Rios faces off with Tim Bradley on HBO on Nov. 7 inside of the Thomas & Mack Center for a clash for Bradley’s WBO welterweight title and so far his spirits in camp are very high. 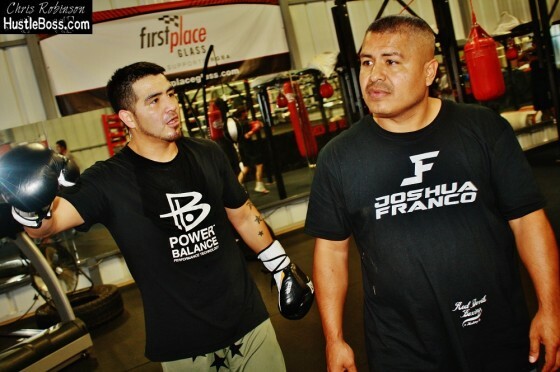 PHOTOS: A Closer Look at Robert Garcia’s New Gym in Riverside, Calif. 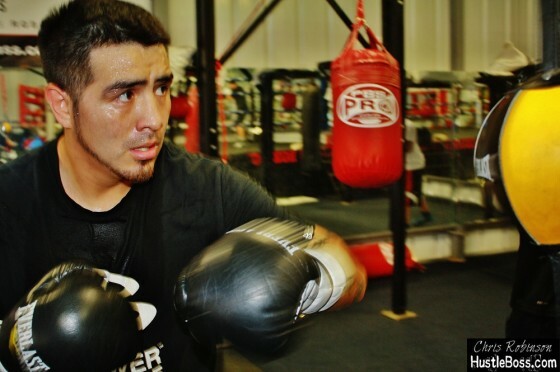 Ever since relocating to the West Coast in late 2009, Hustle Boss has frequented some of the best boxing hotbeds in Las Vegas and Northern and Southern California, including the Robert Garcia Boxing Academy. 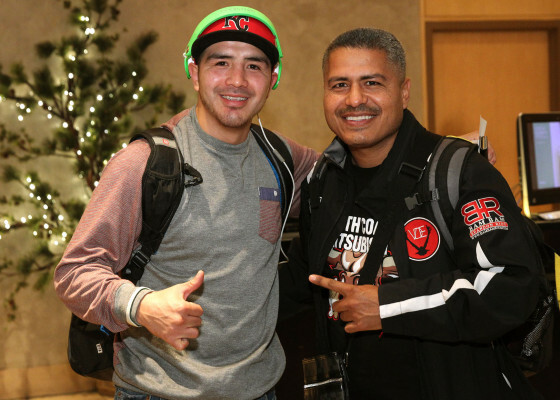 Decorated trainer Robert Garcia, a former junior lightweight world champion who has since gone on to win multiple ‘Trainer of the Year’ titles, has established himself as one of the faces of the sport in recent years. 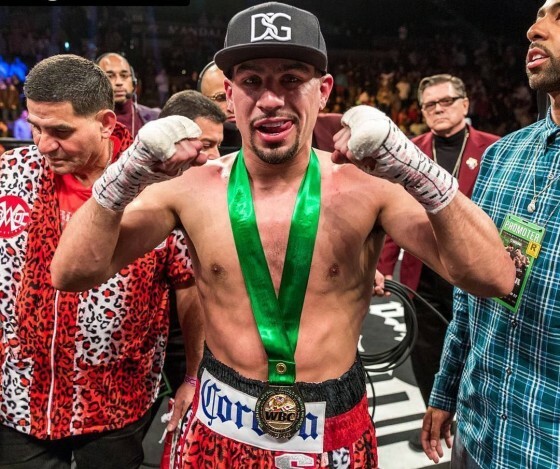 Garcia held the IBF junior lightweight title briefly in the late 90′s and has spent recent years honing the skills of Brandon Rios, Marcos Maidana, Nonito Donaire, Julio Cesar Chavez Jr., Jesus Cuellar, and countless other prizefighters. Moments ago in Broomfield, Co., just outside of Denver, Brandon Rios punished hometown favorite Mike Alvarado over the course of three-sided rounds in the third and final match in their memorable trilogy. 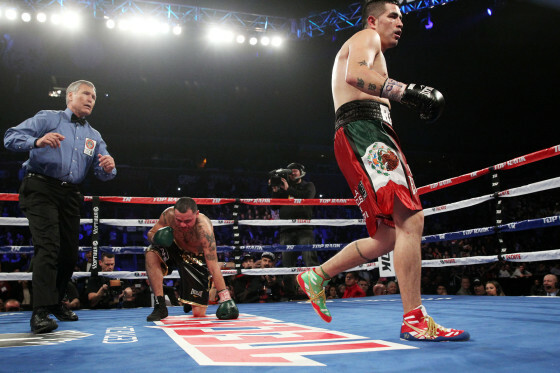 Rios was on top of Alvarado from the outset of the fight and scored the lone knockdown of the match in the third when Alvarado opted to take a knee. 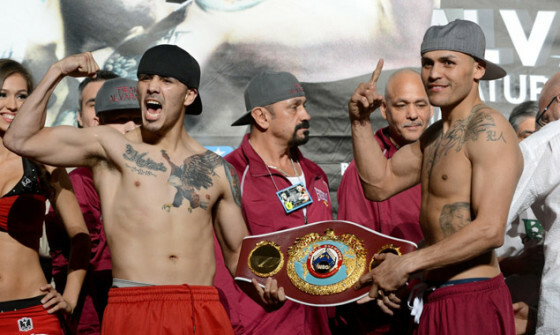 Weights from Denver, Co. as former lightweight champion Brandon Rios (146.75 pounds) and hometown favorite Mike Alvarado (146.5) make the welterweight limit ahead of the third fight of their memorable trilogy. 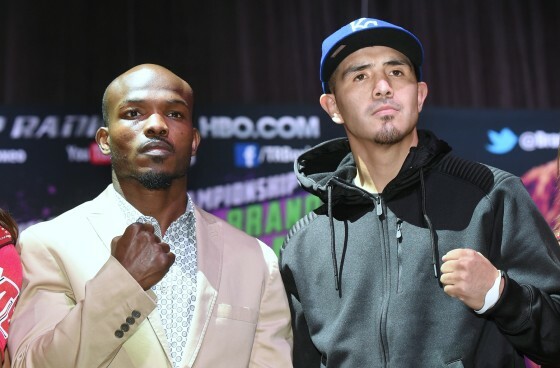 Rios vs. Alvarado III will take place tomorrow night from the 1STBANK Center in nearby Broomfield in an HBO attraction that will have big implications for both men. A crucial match for former lightweight champion Brandon Rios is just around the corner, as a third encounter with all-action Mike Alvarado is slated for Jan. 24 in Broomfield, Co. 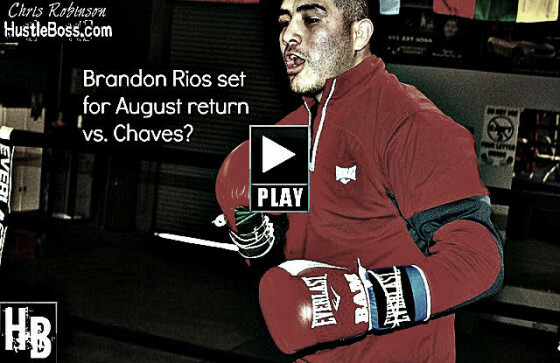 This figures to be somewhat of litmus test on where Rios’ career stands at the moment. Brandon Rios and Mike Alvarado are getting ready to settle their score. The two former junior welterweight champions, who have split a pair of thrilling fights, will meet for a third time on Jan. 24 at the 1STBANK Center in Broomfield, Col., right outside of Alvarado’s hometown of Denver. HBO will televise the rubbermatch, just as they did the first two matches. Rios (32-2-1, 23 KO’s) stopped Alvarado in under seven rounds in October of 2012 in an absolute firefight of a match in Southern California that left the boxing world buzzing. The upcoming welterweight title showdown between reigning WBO champion Manny Pacquiao and recently crowned WBO junior welterweight titlist Chris Algieri certainly has drawn a wide range of opinions from people within the sport. 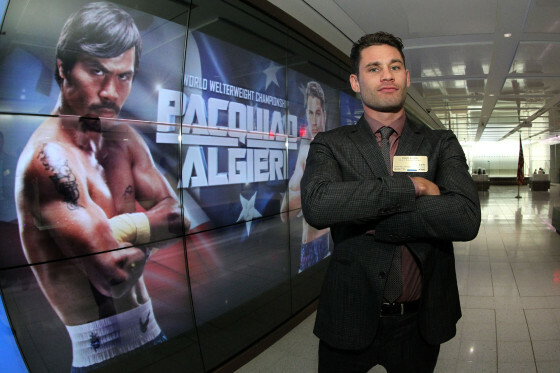 Some feel that Algieri’s awkward, rangy style is enough to throw Pacquiao off his game while others feel the Filipino icon still has enough left in his tank to offer up a dominant performance on Nov. 22 when the two meet in Macau, China. 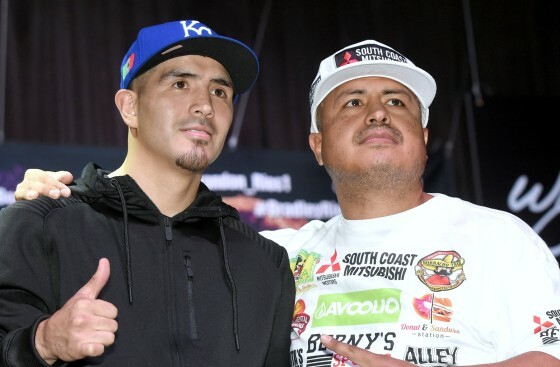 For former lightweight champion Brandon Rios, who dropped a wide points loss to Pacquiao in November of last year, he feels his former stable mate will actually be able to pull off the upset. 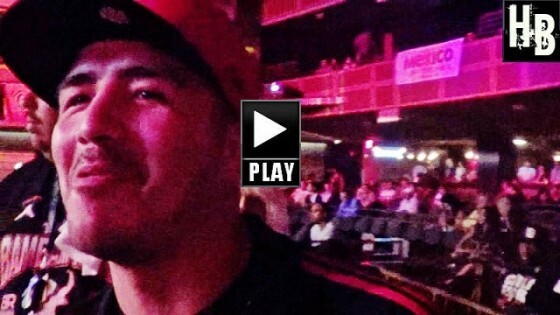 HustleBoss.com catches up with former WBA lightweight champion Brandon Rios (http://hustleboss.com/tag/brandon-rios/), as he is in town to support his friend and stable mate Marcos Maidana this weekend vs. Floyd Mayweather. HustleBoss.com was on hand inside of the Chelsea Ballroom inside of the Cosmopolitan as former lightweight world champion Brandon Rios and his opponent, Argentina’s Diego Chaves, weighed in ahead of their HBO showdown. 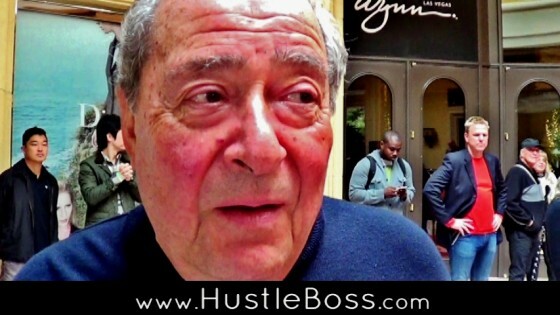 HustleBoss.com’s Chris Robinson continues to speak with former WBA lightweight champion Brandon Rios (31-2-1, 23 KO’s) about the April 12 rematch between Manny Pacquiao and Tim Bradley, set for the MGM Grand in Las Vegas, Nevada. 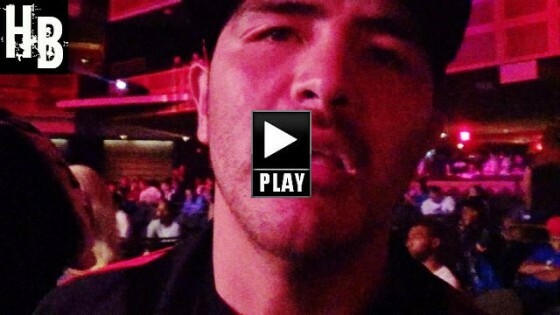 HustleBoss.com speaks with former champion Brandon Rios about the May 3 Floyd Mayweather vs. Marcos Maidana showdown.